Successful investments are always the result of reliable and accurate information. – Where to invest in Bangkok? – What are the most popular areas for renters? – Where do we complete most of our Rental Deals? In this study, we will aim to offer some unbiased and definitive answers to these simple questions. When it comes to investing in Bangkok’s property market, selecting an investment location is never an easy task. 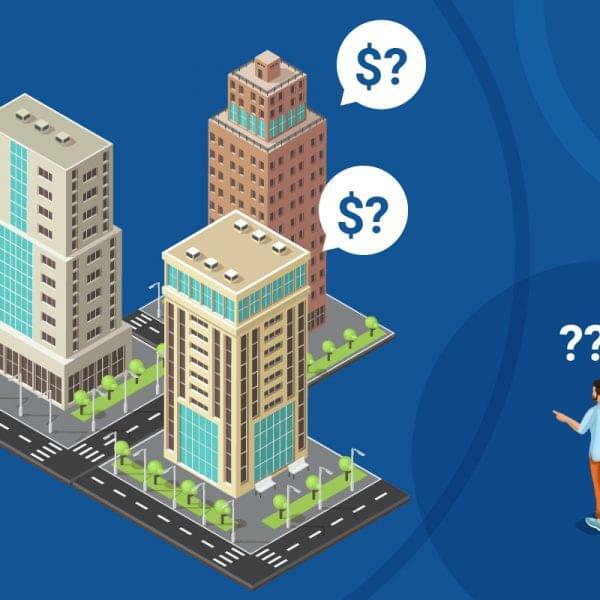 The city can confuse not only because of its geographic vastness and thousands of condos, but because of the wealth of conflicting investment information and data available. Interestingly, most of the blogs, articles and reports available (Especially online) covering areas, projects and investment trends are often marketing puff pieces dubbed “Advertorials”; with the sole intent of flogging new residential projects. This bias is technically misrepresentation and can mislead unwary investors unfamiliar with the Capital’s real estate market! 1. Percentage of Client Inquiries Received Per BTS/ MRT Station. 2. 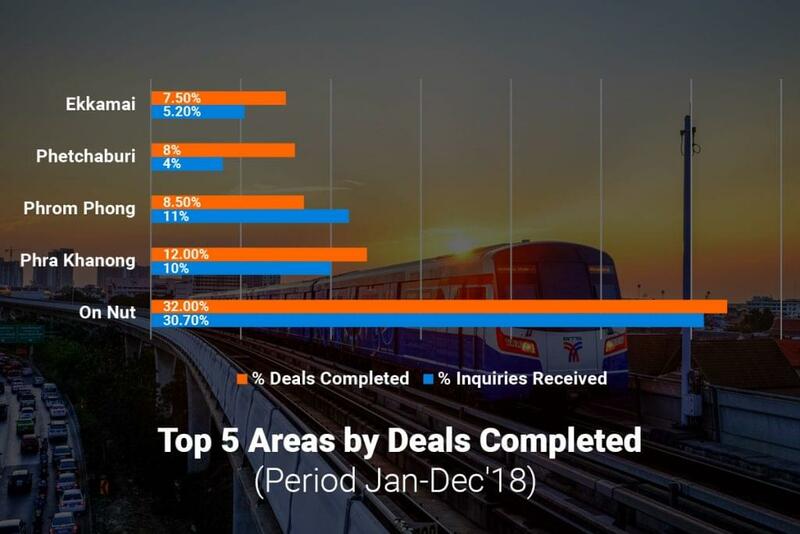 Percentage of Deals Closed in Each BTS/MRT Station. 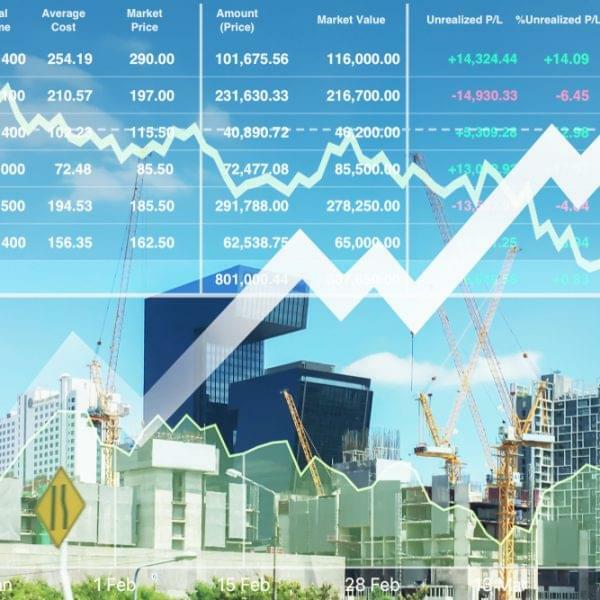 Our goal is to offer unparalleled insight to investors and the general public about where to invest and what to expect from different neighborhoods in Bangkok! Before revealing the conclusion of our findings, it is important to understand the source of our data and its inherent limitations. Only rental inquiries generated by Fresh Property’s online marketing efforts were compiled. These inquiries came from a variety of sources such as Thai Property Portals (Notably Hipflat, Dot Property and Thailand Property), Social Media (Mostly Facebook) and generated from the Fresh Property Website (Freshbangkok.com). Only rental deals completed by our sales team were recorded and used in this report. However, these deals also included co-agent deals; whereby the renters were introduced by a partner Agency/Agent and the deal was completed in a condo or home advertised by Fresh. Please note, all the data findings in this report will be presented in percentages. This is to avoid revealing too much sensitive market information, that could offer competitive advantage to competitors. Any Projects located outside these areas are not advertised by Fresh and therefore have not been included in this study. Some Bangkok property experts may be critical of our categorization of areas. 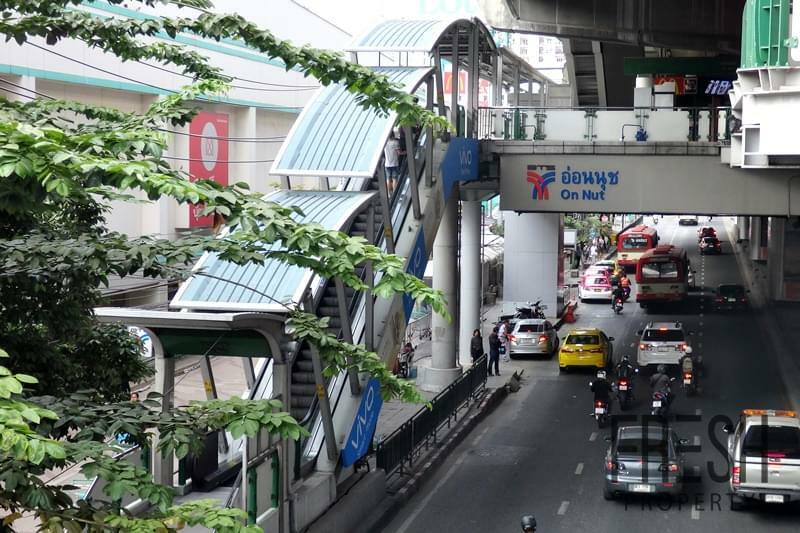 – MRT Phetchaburi being geographically closer to Asoke and not in Rama 9. 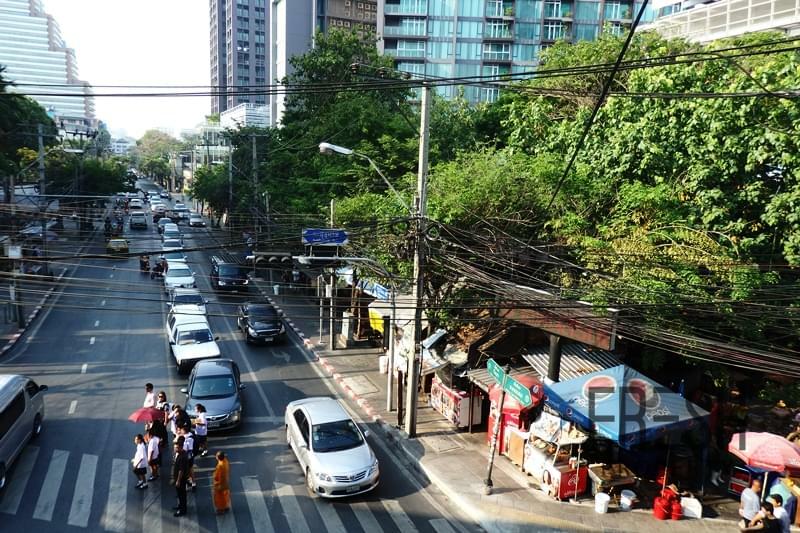 – Phra Khanong and On Nut not being part of the CBD. Our editorial acknowledges these inaccuracies, however for the sake of simplicity this study follows Fresh Property’s internal corporate categorization of locations. Properties advertised online by Fresh are not equally distributed between BTS/ MRT areas. Therefore, neighborhoods with the most property listings advertised will inevitably have better exposure. A quick disclosure, Sukhumvit was the section of the CBD with the most property listings advertised online by Fresh. While rental deals are signed and completed on a weekly basis, the scale of Fresh’s operations are quite limited especially in proportion to Bangkok’s scope and scale. 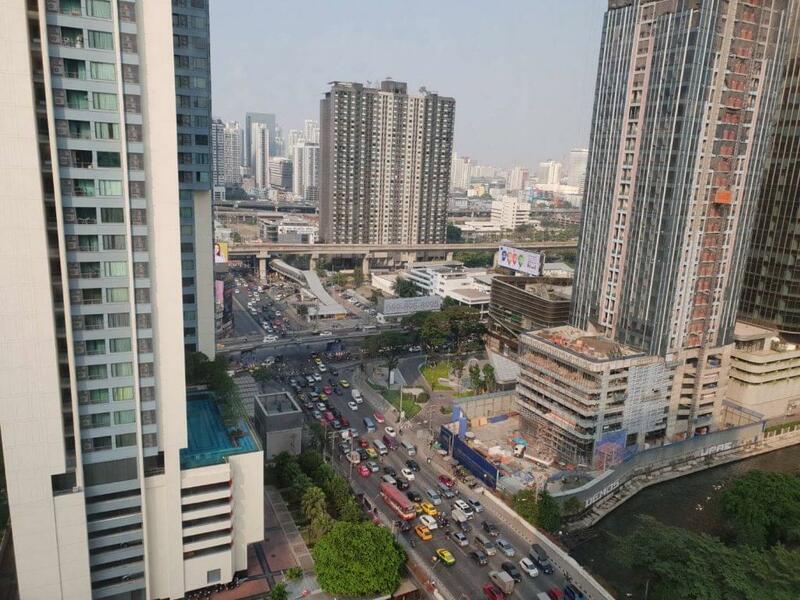 In simple words, Bangkok’s Central Business District is too extensive to be completely and effectively covered by the modest marketing efforts and rental team of Fresh. We therefore cannot claim that the total rental inquiries and deals completed are statically representative of the City. The Most Inquired Section of the Central Business District? A simple glance at the infographic above, shows Sukhumvit leading the pack by enormous margins. This incredibly “skewed” result in favor of the BTS Stations between Nana to On Nut was largely predicted beforehand by the Editorial Team. The simple reason being, that a large proportion of property listings advertised online by the Agency are usually located in Sukhumvit. On top of this, Sukhumvit was represented by a total of 7 BTS Stations. 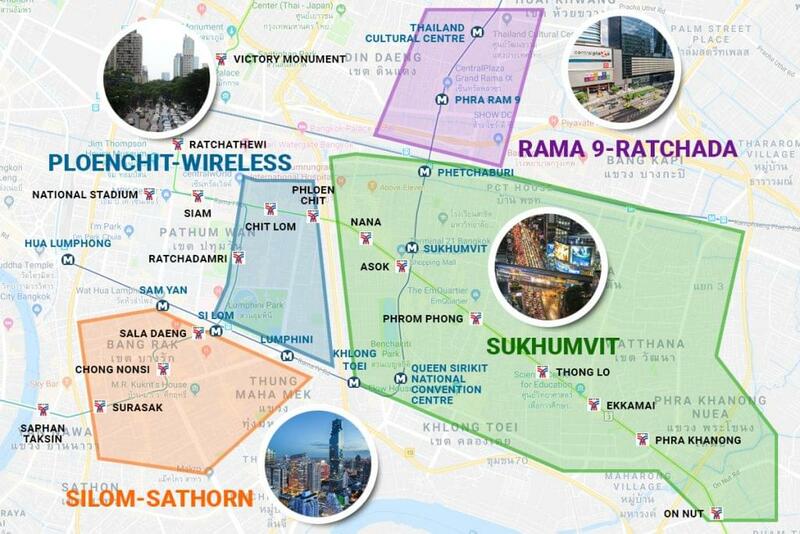 This outnumbers the next largest district Rama 9- Ratchada and Ploenchit-Wireless that were respectively represented by 4 BTS/MRT Stations. During our study, this “statistical skew” in favor of Sukhumvit meant that the 7 BTS Stations (Nana to On Nut) were the areas that generated the most rental clients every quarter in 2018. However, these statistical advantages only partly explain the district’s overwhelming popularity. The area is a Thai and Expat favorite with a balanced mix of business, leisure and residential neighborhoods. As mentioned above, the area offers an extremely balanced lifestyle. Offering a combination of business (I.e. Asoke) and leisure (I.e. Thonglor or Phrom Phong) hotspots complemented by good-quality housing options. On top of this, all the neighborhoods are well-connected and benefit from the travel convenience of the BTS Skytrain system. Mass transit allows residents to shuttle for work or leisure to different areas of Bangkok in a few minutes. Developers have been active in the area, with a wide choice of houses, condos and apartments available to suit the needs of different type of renters. Sukhumvit also appeals to a variety of “pockets”, with budget options available in On Nut and more upscale downtown luxury residences advertised in Phrom Phong. These 3 factors have transformed this section of Bangkok into one of the most vibrant and cosmopolitan lifestyle hubs in the City. With an active rental market available for houses and condos all year round. In the next section we will explore Sukhumvit, evaluating the inquiry distribution between each area within the district and the individual qualities of the top neighborhoods. Getting Up Close and Personal with Sukhumvit! 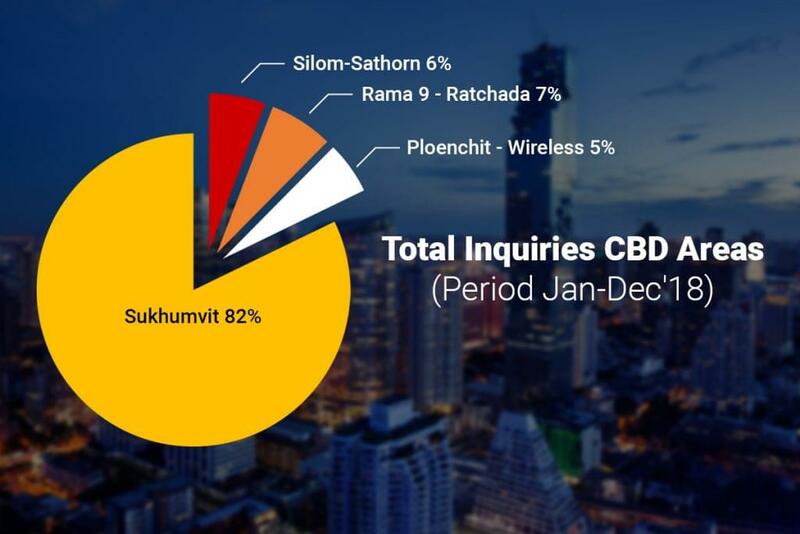 Above is a visual representation illustrating the proportion of inquiries received by each Sukhumvit Area. 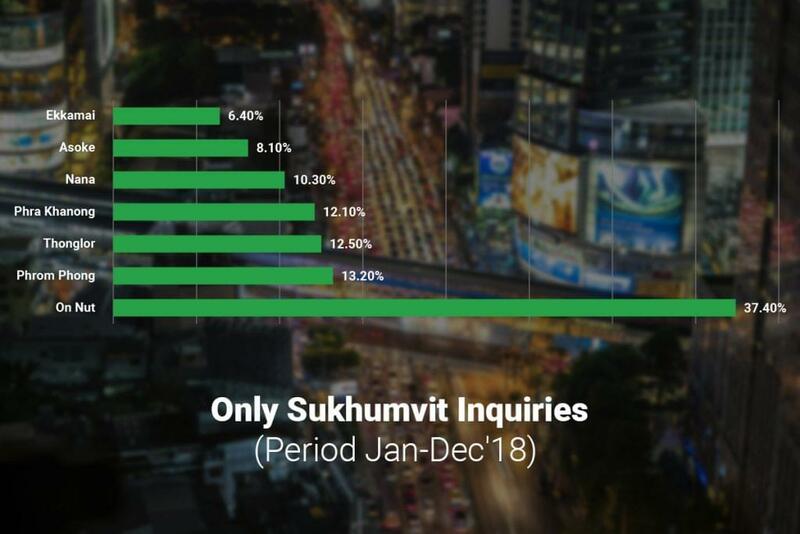 Example, On Nut represented a whopping 37.40% of all inquiries in the Sukhumvit neighborhoods whereas Ekkamai represented only 6.40% of inquiries. Anyone familiar with Bangkok, will immediately understand that Sukhumvit is an expansive and diverse district covering neighborhoods with vastly different characters and styles. Therefore, a potential renter searching for housing in Asoke, might be very different in profile (Socially and economically) compared to someone that currently rents in On Nut. – On Nut was by far the most popular area in Sukhumvit, representing almost half of all the inquiries in the area. This can largely be attributed to the large amount of affordable condo choices and the residential nature of the area. – Phrom Phong and Thonglor were respectively 2nd and 3rd in terms of number of rental inquiries received. This is probably because they appeal to the same renter profile and offer similar lifestyle offerings. – The least enquired area was Ekkamai, that probably underperformed compared to its counterparts because of the lower number of Condo Project available for renters. 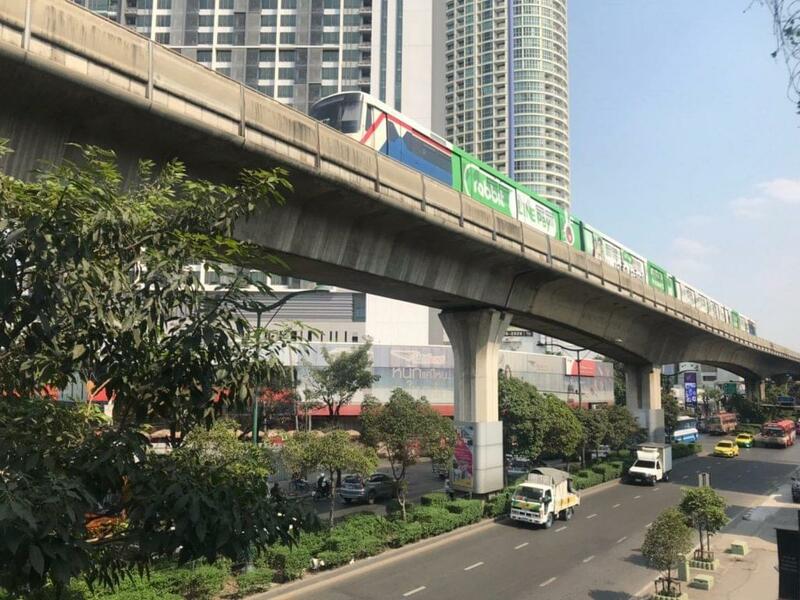 – Asoke’s trailing performance close to the bottom, is only down to the fact MRT Phetchaburi client inquiries were not included in the results. With only condos and house inquiries in immediate proximity to BTS Asoke (MRT Sukhumvit) being recorded. However, Phetchaburi on the northern tip of Asoke offers a range of quality projects popular with working professionals. If Asoke and Phetchaburi inquiries had been combined, this would have made “Asoke” the 2nd most popular area on this list. A Closer Look at Fresh’s Completed Rental Deals? However, inquiries do not always immediately convert into a rental deal. In line with earlier data, Fresh Property’s Top 3 most popular locations were all located in Sukhumvit. The On Nut dominance in this study, is unsurprising and was expected; this area has rapidly gentrified from a gritty residential suburb into a trendy commuter hub. In terms of renter profile, it tends to attract younger working professionals and young families most of which work in Sukhumvit’s business hubs (Phrom Phong and Asoke). Renters are usually attracted to the area, because of the affordable rental prices and the good quality condos available near the On Nut BTS Station. Some notably projects by established developers include Ideo Mobi Sukhumvit by Ananda, Rhythm Sukhumvit by AP Thai and the ever popular The Base Sukhumvit 77 by Sansiri. On top of the rental value offered, On Nut residents benefit from a convenient lifestyle with 2 supermarkets (Big C and Tesco Lotus) both located within 500 meters of the BTS Station. The popularity of the neighborhood has also spurred the development of new malls such as Century Mall and Habito Community Mall now servicing residents. On a final note, travel times via BTS from On Nut to Central Bangkok locations such as Asoke is only approx. 20 minutes making it extremely convenient for commuters. 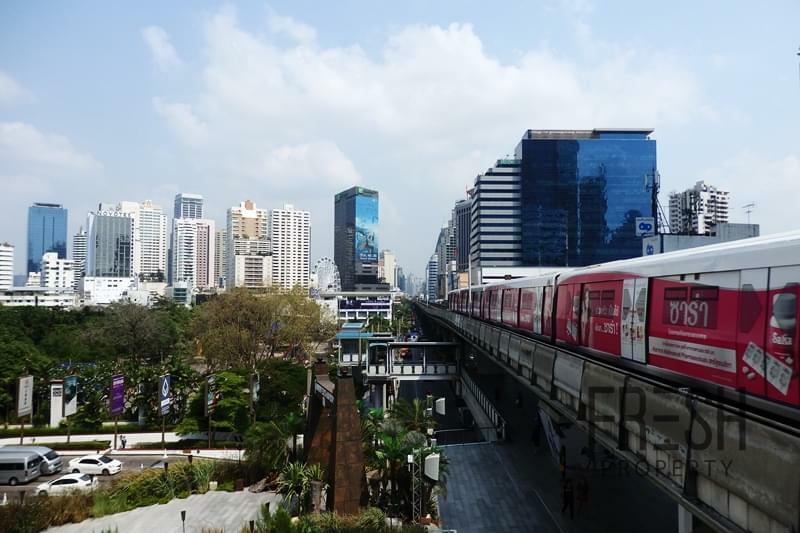 Phra Khanong’s appeal lies in its geographical proximity to the Central Business District, as it is only 2 BTS Stations away from Thonglor and only 3 Stations from Asoke. It’s favorable location, has allowed it to benefit from natural spillover from both buyers and renters that are unable to afford more pricey neighborhoods in Central Bangkok. Like the On Nut neighborhood, the profile of renters tend to be young working professionals and young families. Phra Khanong offers numerous high-quality projects for renters to select, notably Life 48 by AP, Wyne Sukhumvit and The Line Sukhumvit 71 both developed by Sansiri. Rental rates tend to be great-value especially relative to the sky-high rates of the CBD. An interesting point is unlike its counterpart On Nut, the neighborhood is still lagging in terms of leisure venues. However, the editorial believes that the area is quickly developing its own character. The Phra Khanong lifestyle now has two new additions, notably leisure hotspots such as the W District (With its popular W Night Market) and Summer Hill community mall. Phrom Phong needs little introduction, this prime location is a leisure and retail hotspot that benefits from a luxury and high society image. This appealing and desirable brand is reinforced by the presence of 2 luxury malls notably Emporium and Emquartier. The neighborhood is made-up of a collection of interconnected “Sois” (Roads). These intertwining roads are usually peppered with a variety of condos, mini-malls and independent eateries giving the area a unique community charm. A benefit of living in Phrom Phong is the wide variety of accommodation options available. Being an established section of the CBD, developers have been active in the area; with a range of condos and apartments offered at different price levels, ages and style. Finally, Phrom Phong is also gradually transforming into an office hub with notable A-Grade office towers such as Metropolis and Bhiraj Tower. 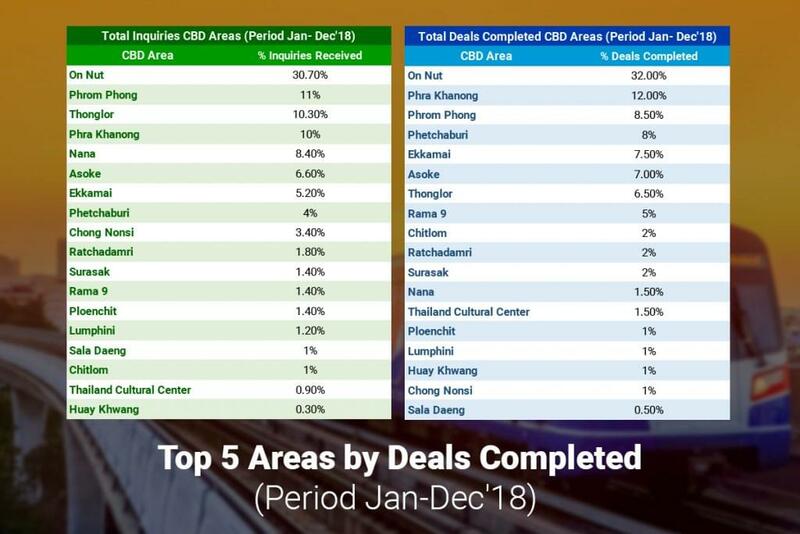 Interestingly, two unexpected areas in the “Top 5” are Phetchaburi and Ekkamai; that despite their relatively low level of enquiries positioned themselves in 4th and 5th for most rental deals completed. 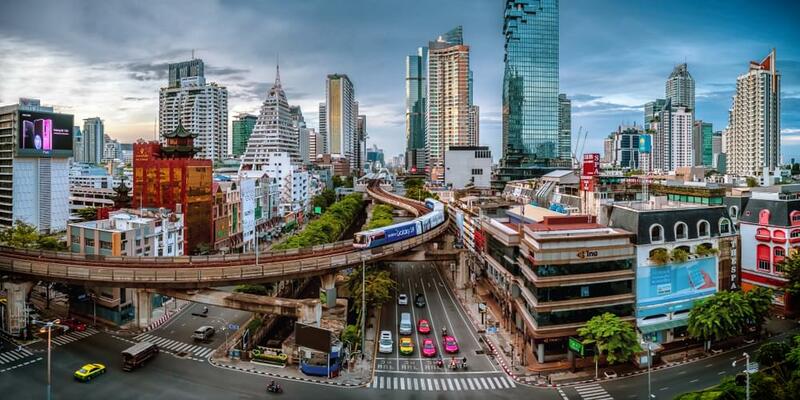 Phetchaburi is serviced by an MRT Station and is largely seen as an extension of Asoke. It is popular due to the affordability of its housing options. At present, the area offers potential renters a variety of quality condos that offer both a comfortable and convenient lifestyle. The area remains largely good value, especially relative to the center of Asoke (Closer to Sukhumvit Road). Renters tend to be working professionals, with offices typically based in Asoke or other business centers such as Ploenchit, or Pratunam. The area has experienced a development boom for several years. This is in large part due to the availability of land plots along Phetchaburi Road, that has encouraged several residential and commercial developers to launch projects. Some notable projects included mixed-use Singha Complex on the Phetchaburi Intersection and condominium Ideo Mobi Asoke by Ananda. Ekkamai is often seen as the sister neighborhood of glamorous Thonglor; with many renters often perceiving the area as “Thonglor without the price tag”. In terms of its lifestyle, it has very much the same to offer as it’s more popular counterpart with a variety of eateries, bars and coffee shops. It’s desirable and appealing lifestyle, is complemented by a peaceful and relaxing environment making it popular with renters. Despite its convenient geographical location, the area has not experienced the same level of condominium launches compared to areas such as Phra Khanong or On Nut. However, the existing housing options in the location remain good value, especially compared to its more expensive neighbor Thonglor! 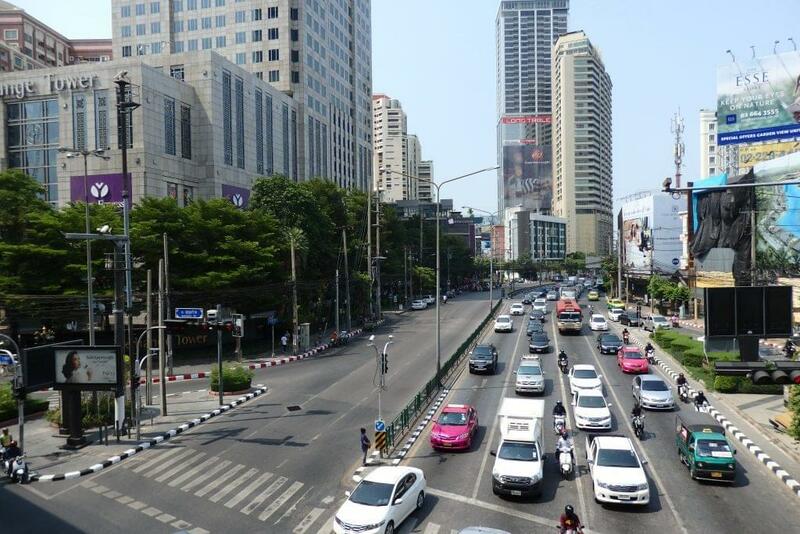 – Sukhumvit was by far the most popular Central Business Location for Fresh Property. This result can be attributed to the focus of Fresh Property’s marketing activities. – However, this marketing and sales focus is encouraged by the residential popularity of the district. Sukhumvit offers a desirable and varied lifestyle, complemented by a wide range of rental options. – The BTS Station that received the most rental inquiries was On Nut. This area has established itself as a good value, affordable and convenient rental hub. – Phrom Phong was the second most popular location, followed by Thonglor. Both locations remain popular with Expat and Thai renters, attracted to the desirable lifestyle of these neighborhoods. To reiterate, a rental inquiry for a specific area doesn’t always translate into the renter signing a lease in that location. – On Nut maintained its popularity record, by placing itself the number 1 location for rental deals completed by Fresh. It’s dominance as a high-volume area is the result of convenient travel times to Central Bangkok, a pleasant lifestyle and affordable range of condos. – Phra Khanong was the 2nd location where Fresh completed the most rental deals. The Editorial believes that Phra Khanong benefits from its balance of good value condos and convenient geographical location next to the CBD. – The 3rd top rental location for Fresh was Phrom Phong; the location benefits from a desirable high-society image reinforced by Emporium and Emquartier malls. Residents of the area also benefit from a charming community atmosphere and a broad choice of housing options. – Phetchaburi and Ekkamai were respectively 4th and 5th in terms of rental deals completed. They both benefit from their proximity to popular residential areas (Ekkamai to Thonglor and Phetchaburi to Asoke). Also, they tend to be appealing to renters as they are relatively more affordable with a variety of projects.